First, I had to sort through many products/categories to decide what I wanted – that was an experience in itself. Then I had to contact sellers, fix up a convenient time, visit them, and purchase the products. While doing that, I learned a few shopping lessons too. Quikr category: Home & Lifestyle. I like the concept of integrating emergency lights and battery fans into a single product and selling it at an affordable price. So I bought two of them, one for our house and another for my grandmother’s house in Kanchipuram. In Chennai, power cuts are not that frequent, but in Kanchipuram, power is cut for a few hours in a day, especially during summers. This product can be useful even otherwise as it is portable and we can keep it on the desk, on the kitchen platform, near the sewing machine, etc. The battery is quite large and will last for 4 hours if we charge it for 6 hours. There is a provision to insert another battery (not included) to increase backup time. The lights are bright, but the fan is not so fast – battery fans are never fast! There were two issues we faced with this purchase – the price was initially mentioned as Rs. 1000/- on the site, but after we went there, they raised it (maybe the model was different or the wholesale price was advertised). But we still bought it because we thought the product was worth the new price. Lesson learned: Confirm the pricing on phone before going. Some on/off buttons were loose (although they work). We checked if the lights and fan were working, but we didn’t check the buttons. Also, the button arrangement makes it difficult to operate – the off switch is in the middle, and two levels of on switch (like high/low) is on the top and bottom. Lesson learned: Check everything before buying, especially if it’s a non-standard product. Even though Tupperware products are over-priced, they are of good quality. 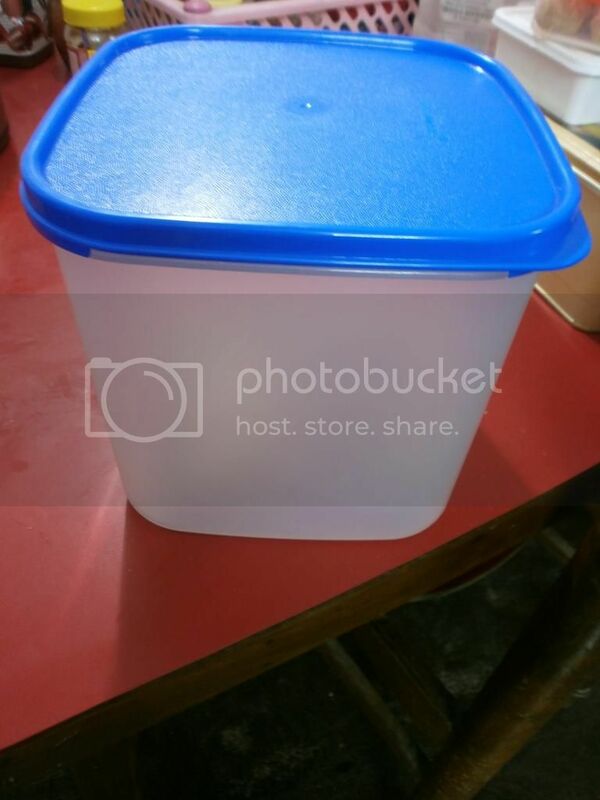 This is a four-liter container for dry storage – the product is fine. But the dealer, even though she had enough stocks for us to choose from, let us down on one crucial thing – telling us the way to her home! We were not familiar with Perambur, forget Moolakkadai where the dealer is located. So we went round and round that area and we almost gave up! At last, her husband guided us – that’s why we reached!! 🙂 Lesson learned: To save time, select the vendor from an area near you or in an area with which you are familiar. 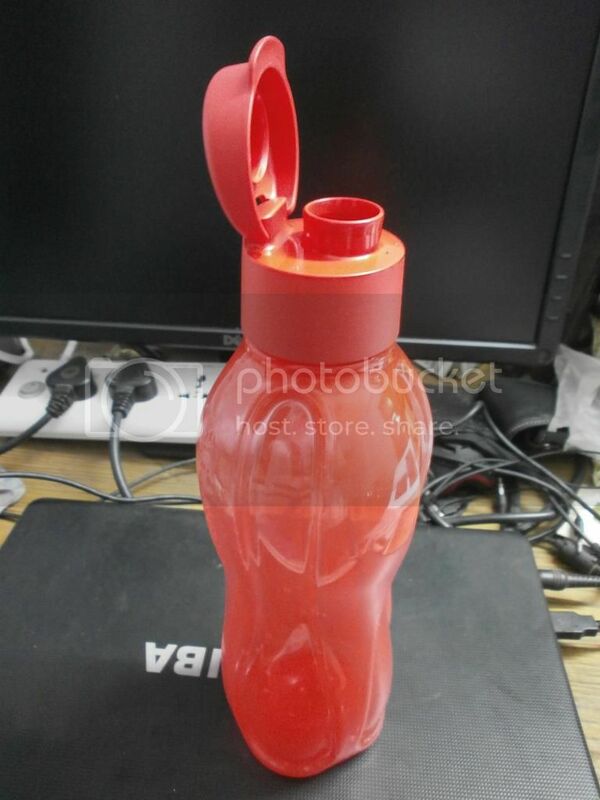 This is another interesting but over-priced product from Tupperware – Sipper bottle! You can remove the cap entirely to fill up water, but you just need to flip the cap to drink the water. It saves time and contributes to the cause of laziness 🙂 We bought this too from the same person mentioned above. 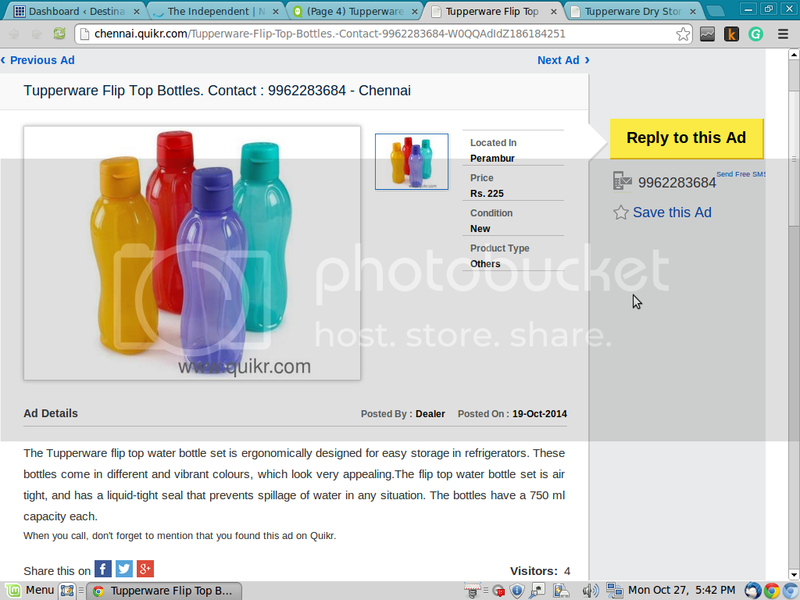 The issue is this – we wanted 1 L bottle, but only 750ml was available. So we bought it on impulse. Now we feel 1 L may have been a better choice! But I guess a few more trips to the water filter will give us more exercise!! 🙂 Lesson learned: If the size/product you want is not available, don’t settle for what is available. Wait or buy elsewhere. Quikr category: Bags – Luggage. This is an interesting buy. 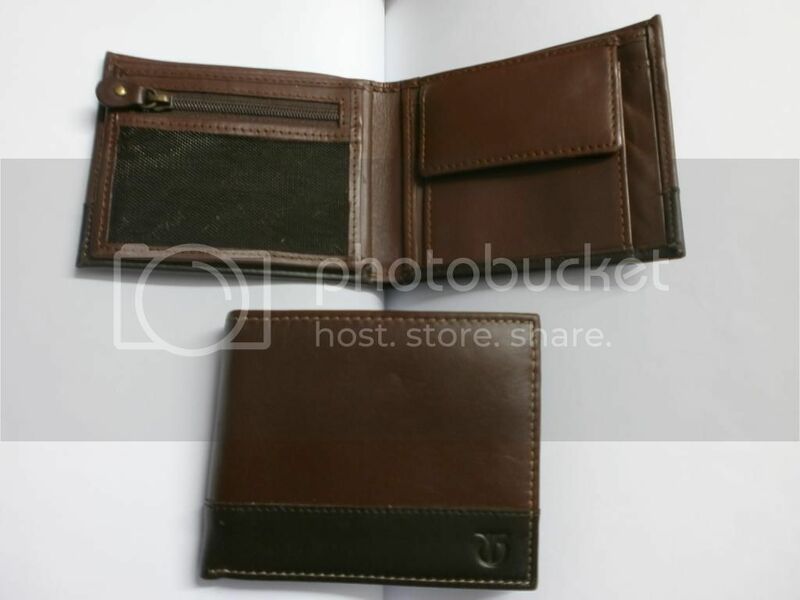 The price for this Titan wallet in Flipkart was more than thousand rupees, but one person who knew some employees working in the company was able to procure it cheaply (at employee discount) and advertise it on the site. I checked if the product was new and of good quality before buying, and it was. I thought the travel to Adyar to buy was worth it. When I went near his office and tried calling him on his mobile, his phone was not reachable. Fortunately, I knew the name of the person and the office, so I went up and called him from the reception. Lesson learned: It’s important to know other contact details of the seller, in addition to the mobile no. It helps in situations like these. 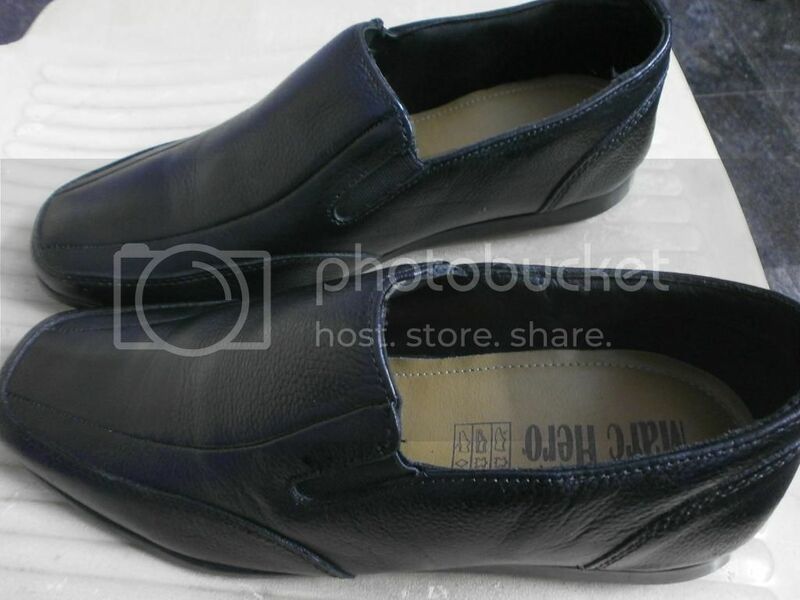 I postponed buying a shoe all this while but decided to buy a pair of leather shoes now. The advantage with this seller was, they were a direct factory outlet and the quality/price was good. This shop is relatively nearer to my house and they also sell new branded leather wallets for the same Rs. 500/- (similar to the above product) here. Had I known that, I would have bought the wallet from here instead of traveling all the way to Adyar. Lesson learned: Get to know what other products a seller (located nearby) is selling. It could save time and petrol. So that’s it. I thank BlogAdda and Quikr.com for giving us this opportunity. You can find both new and used products, from individuals and shops/dealers, on Quikr – the Online classifieds website for India. 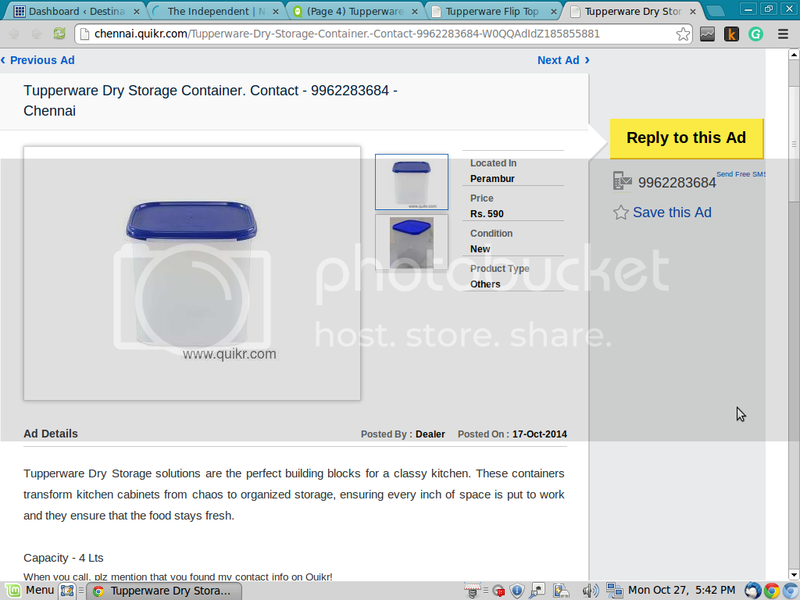 This post is a part of Quikr.com activity at BlogAdda.com. With your experiences, you have also made me learn.But how will we know that the person is selling quality goods until and unless we go and see them for ourselves. With other online shopping portals it is a different scenario. If I were to see goods being sold at lesser price, i have a lingering doubt about their quality or about the ownership,whether it is new or used! Yes, that is true. But Online classifieds are a good source to identify new products that are not available else where or get great prices on new/used products. But unless it’s a branded product like Tupperware, we can’t be sure of the quality. 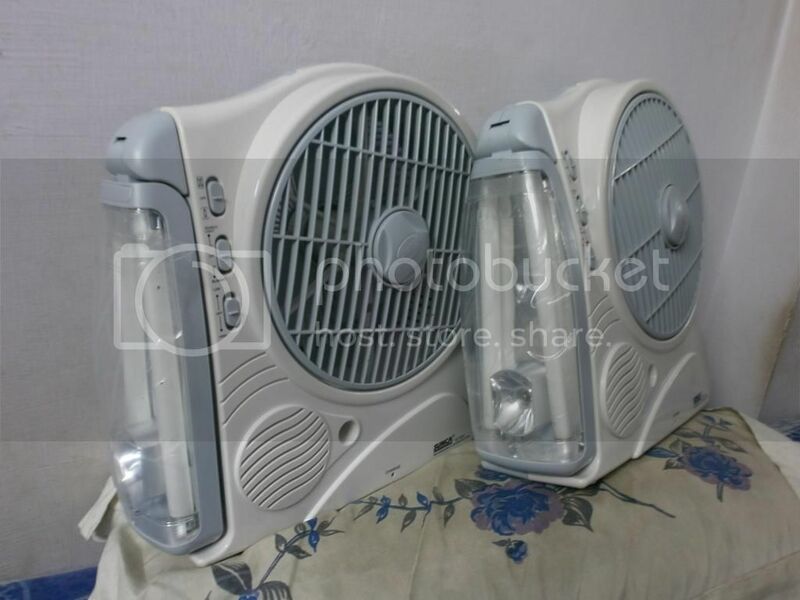 The first product, rechargeable light/fan combo, is something that was unique. And it was offered at a good price. But it doesn’t come with any warranty, etc. Once something is gone, it’s gone! So I think we need to decide if the price/utility is good enough, for taking such a risk. And, I see that you had a great time shopping! Well, some work is also involved! Looks like you enjoyed lot. Good marketing idea by quikr. 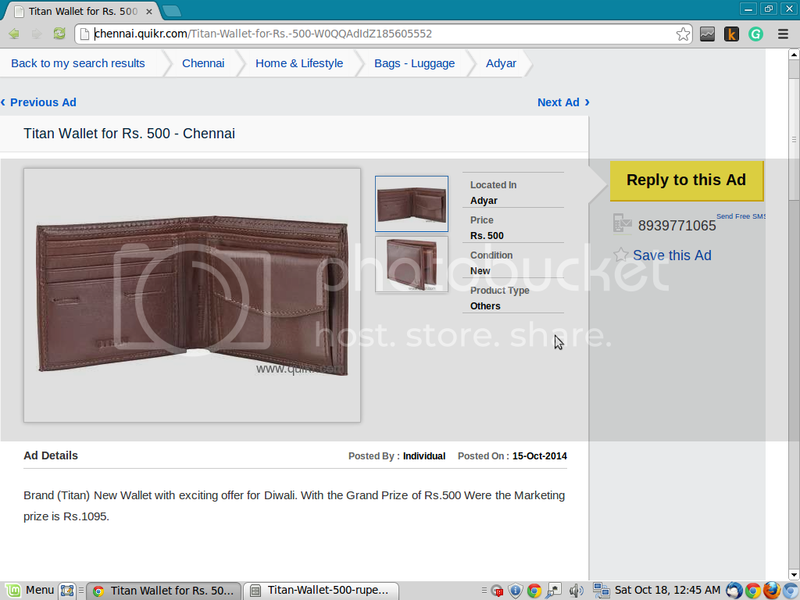 Yes, an innovative idea for marketing the Quikr brand and advertisers products, both! That fan/light combo looks awesome. I liked the items that you shopped – all of them quite useful. Seems u made it very useful and thanks for sharing the lessons u learnt! We also had an emergency L&F which came with tape recorder and FM and it also worked well for long period I used to listen old songs from FM during night before go to bed until the antenna broke and buttons struck. I agree with the Tupper bottle. We have two 1 lt bottles and it isn’t enough and needs refill many times a day. Ah, combining emergency fan/light with a radio is a good idea! Wow! 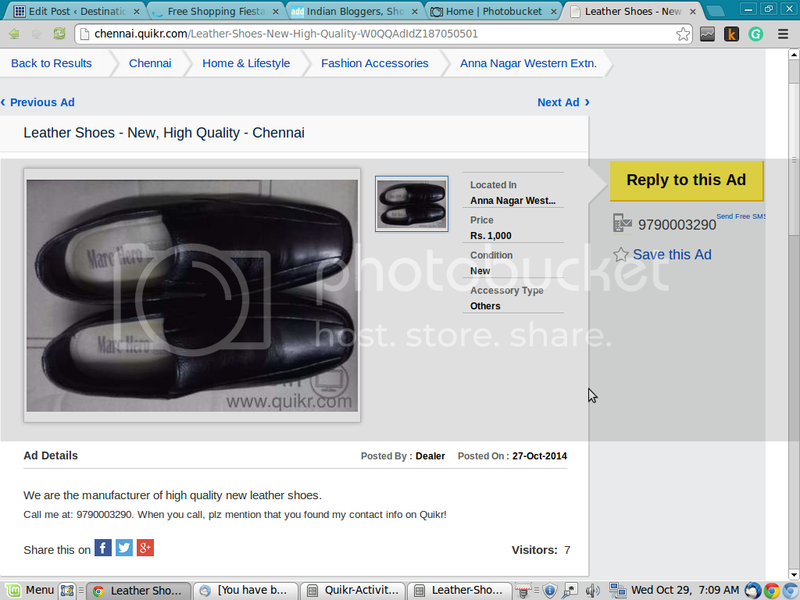 You bought pretty interesting stuff through Quikr. Did the Tupperware lady gave you a good discount? I guess I have been (relatively) fortunate, but the first product – emergency light/fan – has already started giving trouble: the battery is not working!! Thanks for the excellent post. I was thinking of buying an inverter. Since I am going to be here for only 6 months or so, I think I will buy this emergency light & fan. Do you think it is a good (or at least a reasonable) substitute for an inverter? Thanks. No, the product is not good. First the buttons were loose, now the battery is not working! This dealer doesn’t give any warranty. 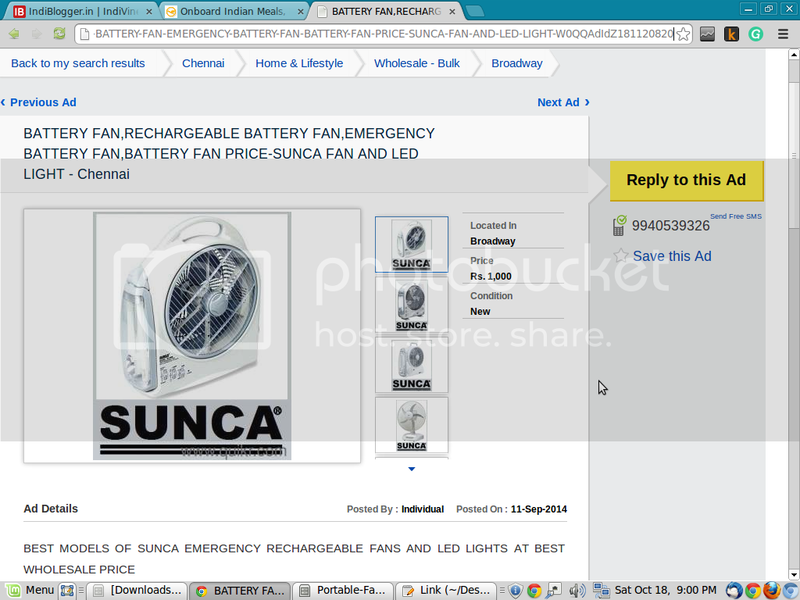 You can go to Flipkart and buy (branded) battery fan and emergency lights separately. For battery fan, it maybe better to visit an appliance/departmental store, check the speed (while on battery) and then buy. Good to see mystery shopping concept is coming to India slowly! Yes, effort is required for mystery shopping, and I guess everyone gains.